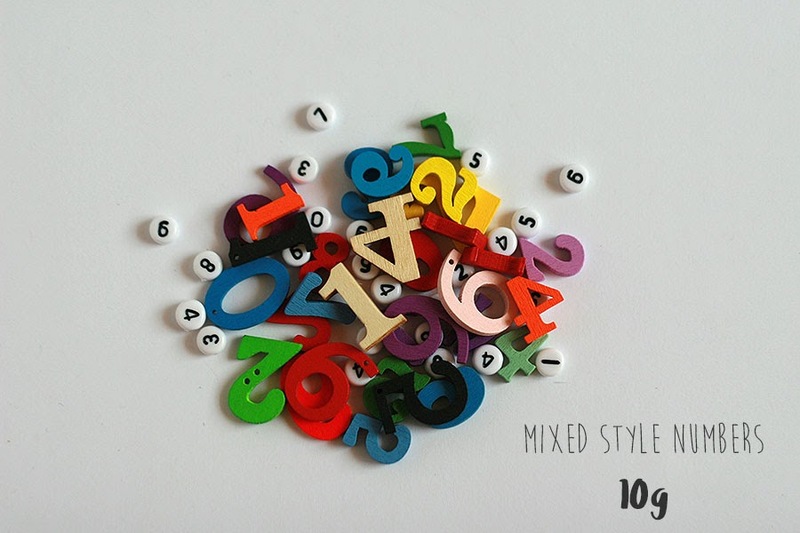 Mixed Numbers in various size, color and style. 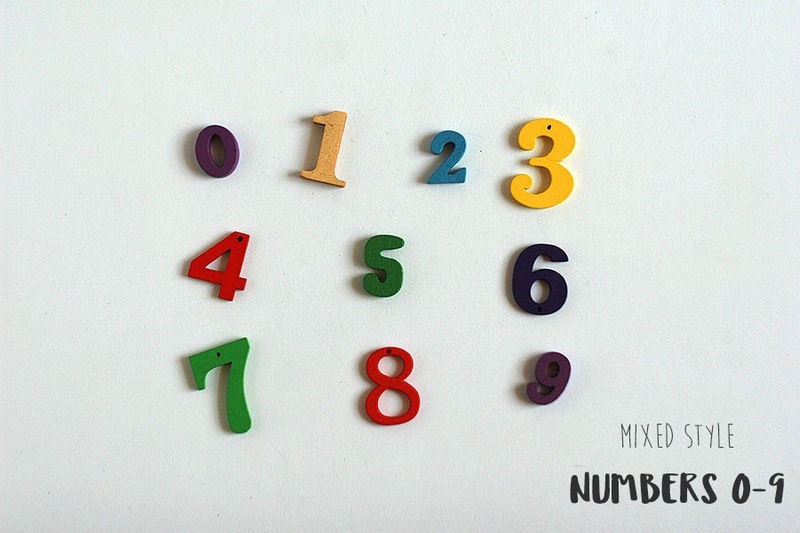 Fillers for Numbers sensory box, I spy bag and other educational games or crafts. 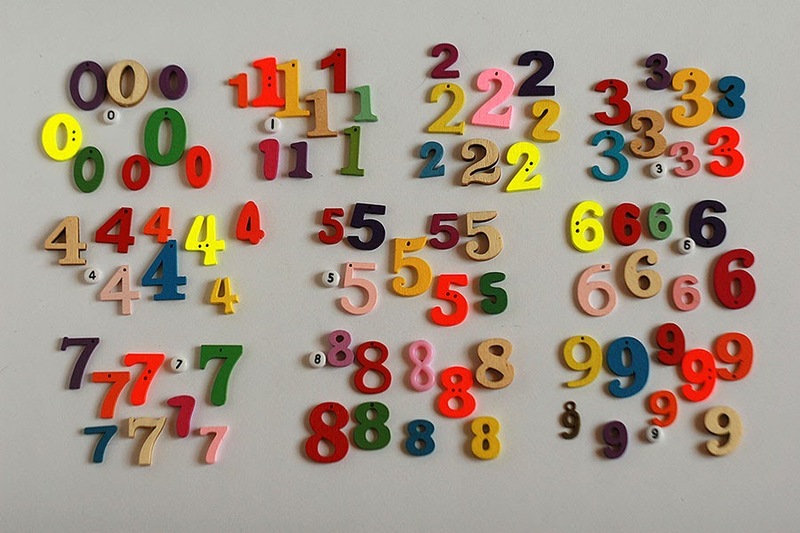 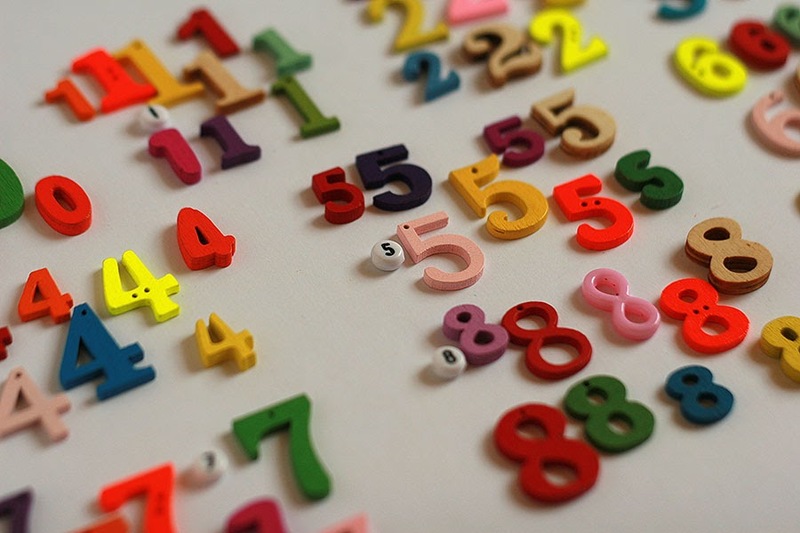 The numbers are mix of buttons, beads, charms made of wood, plastic and metal.